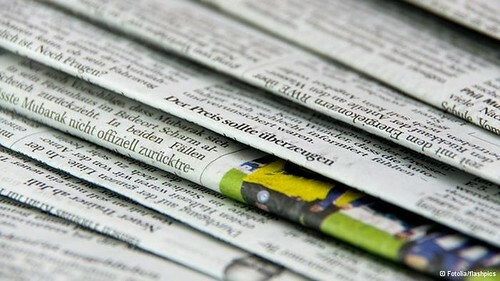 German newspapers and electronic media has condemned the United States spying on governmental officials and civilians. The scandal has strained transatlantic relations., a photo by Pan-African News Wire File Photos on Flickr. LONDON — A German magazine lifted the lid on the operations of the National Security Agency’s hacking unit Sunday, reporting that American spies intercept computer deliveries, exploit hardware vulnerabilities, and even hijack Microsoft’s internal reporting system to spy on their targets. Der Spiegel’s revelations relate to a division of the NSA known as Tailored Access Operations, or TAO, which is painted as an elite team of hackers specializing in stealing data from the toughest of targets. The NSA doesn’t just rely on James Bond-style spy gear, the magazine said. Some of the attacks described by Der Spiegel exploit weaknesses in the architecture of the Internet to deliver malicious software to specific computers. Others take advantage of weaknesses in hardware or software distributed by some of the world’s leading information technology companies, including Cisco Systems, Inc. and China’s Huawei Technologies Ltd., the magazine reported. Intercepting computer equipment in such a way is among the NSA’s “most productive operations,” and has helped harvest intelligence from around the world, one document cited by Der Spiegel stated. Der Spiegel did not explicitly say where its cache NSA documents had come from, although the magazine has previously published a series of stories based on documents leaked by Snowden, and one of Snowden’s key contacts — American documentary filmmaker Laura Poitras — was listed among the article’s six authors. If necessary, Juniper said, it would, “work closely with customers to ensure they take any mitigation steps. Geir Moulson contributed to this report from Berlin. Ryan Nakashima contributed from Los Angeles.